Materials: Square brass arm. Mint green painted metal lampshade, painted with wrinkle paint. The lampshade is white painted inside. 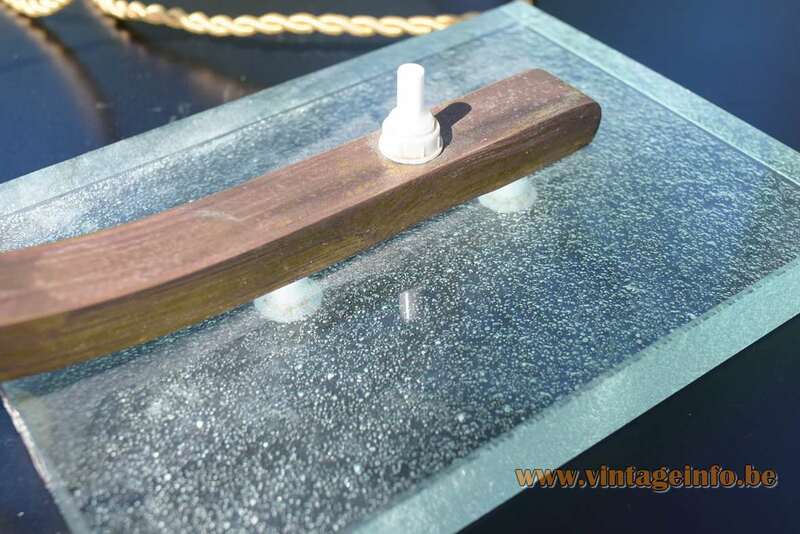 The base is made in clear green glass with an embossment on the bottom. Nickel-plated brass and porcelain socket (small table lamp). Brass and porcelain socket (big one). 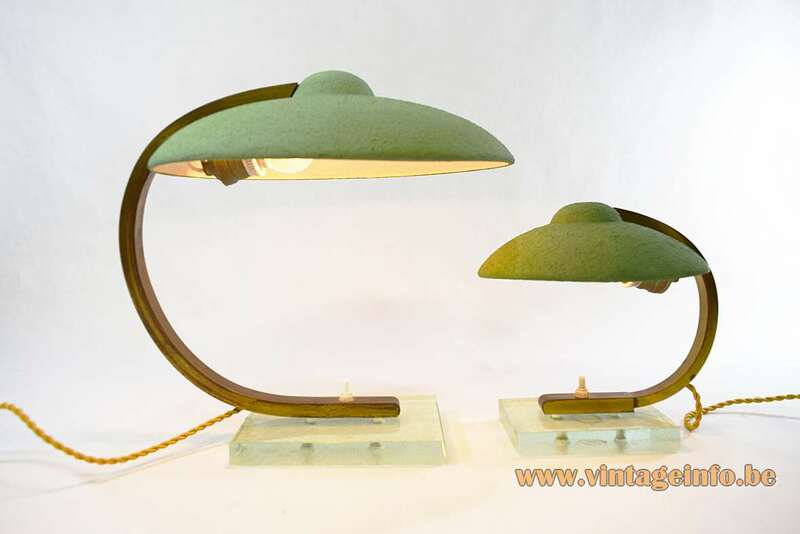 Electricity: 1 bulb E27 per table lamp, 1 x 75 watt maximum, 110/220 volt. 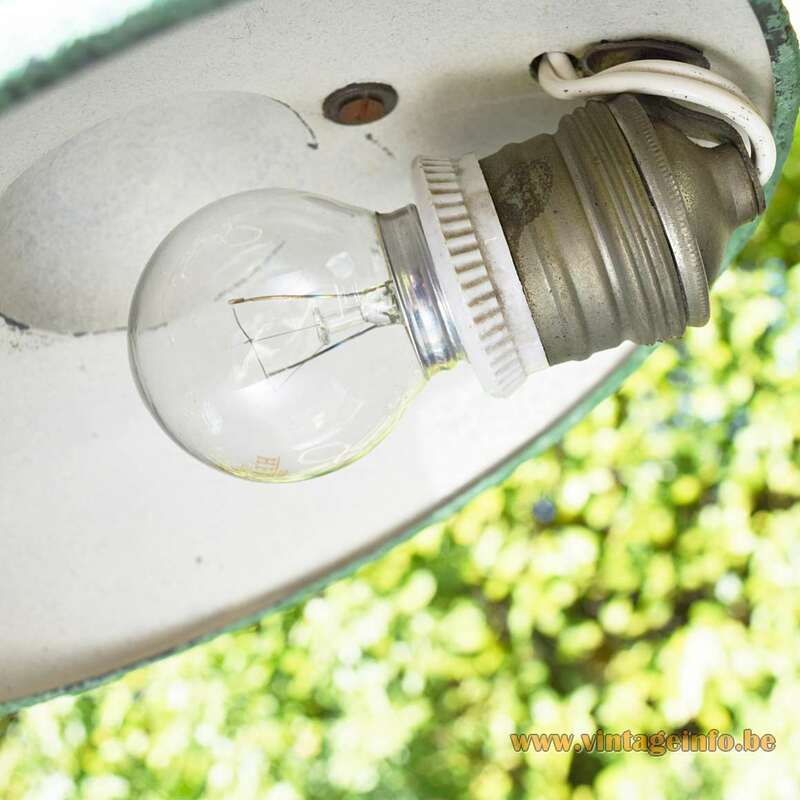 Any type of light bulb can be used, preferably a small round one; white, opaque, frosted or clear. 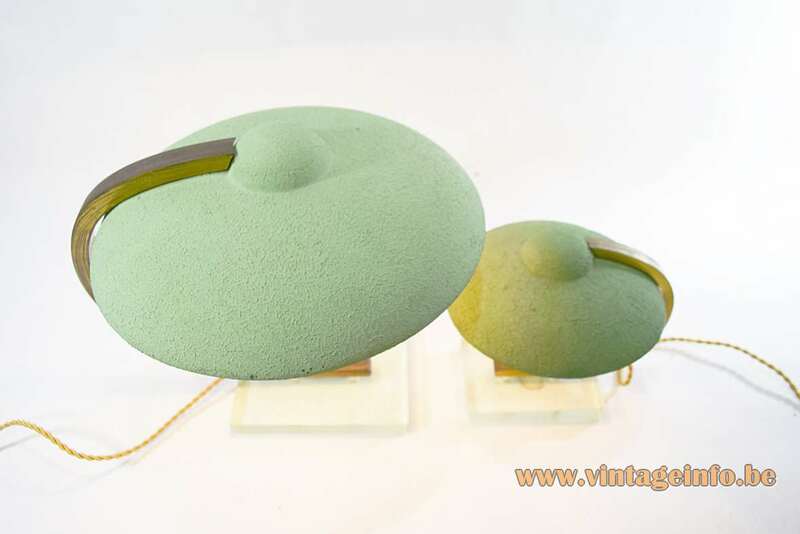 Period: 1920s, 1940s – Bauhaus, art deco, interwar – interbellum. 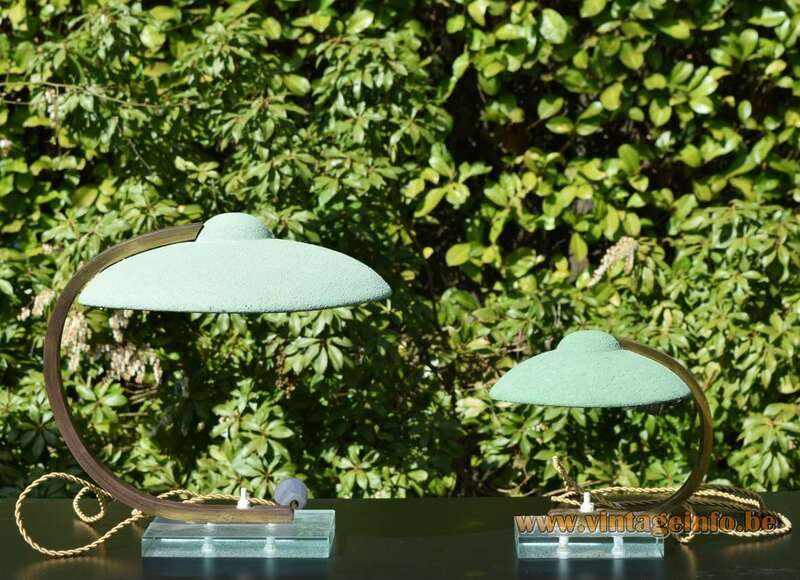 These beautiful lamps are made in the style of the lighting produced by the Italian company Fontana Arte and designed by Pietro Chiesa. 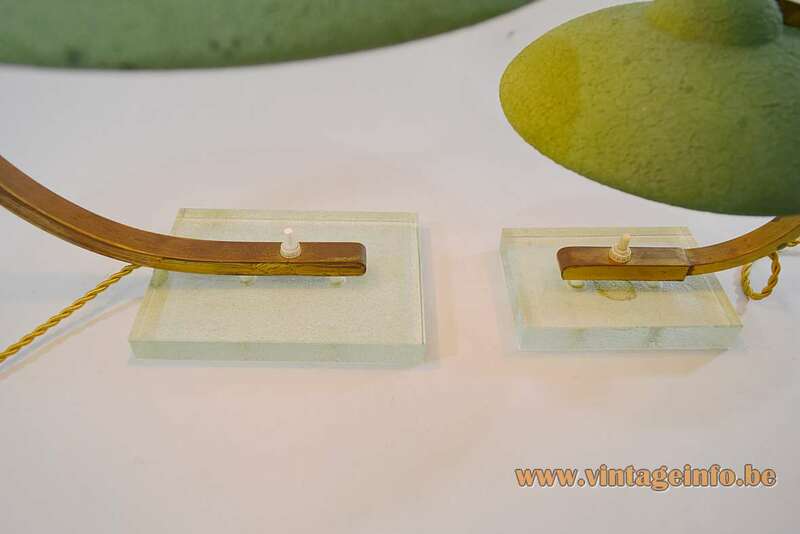 Labels on the base of both lamps from a shop with 2 branches in Charleroi, Belgium that is long gone. One shop was in the “Passage de la Bourse 7 – 9“, a famous shopping mall build in 1890-1893 and designed by Edmond Legraive. The other shop was around the corner in the Rue de College 10. 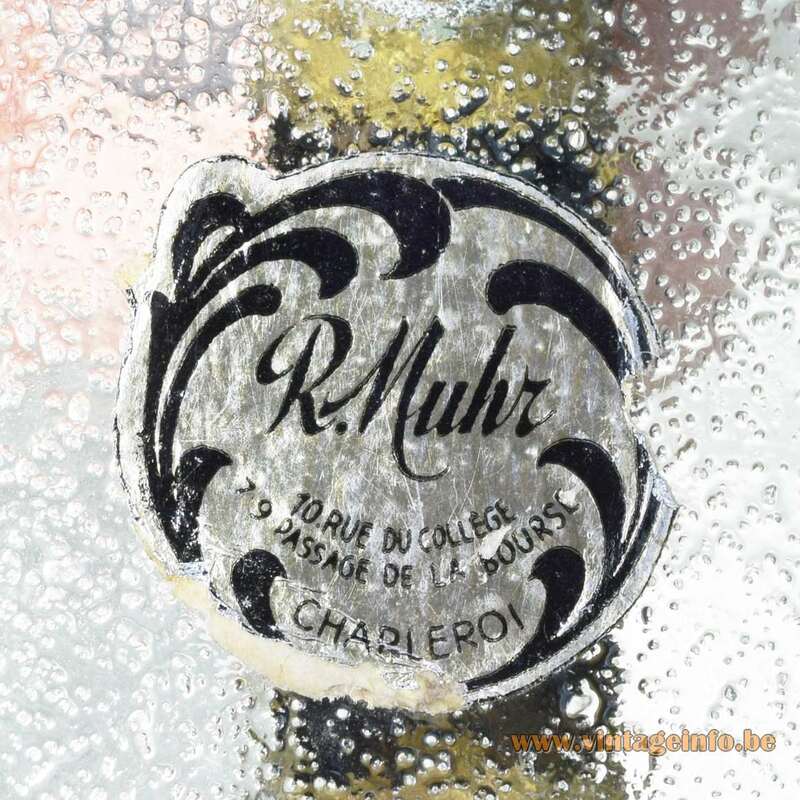 R. Muhr, founded in 1853 ended business around 1986. 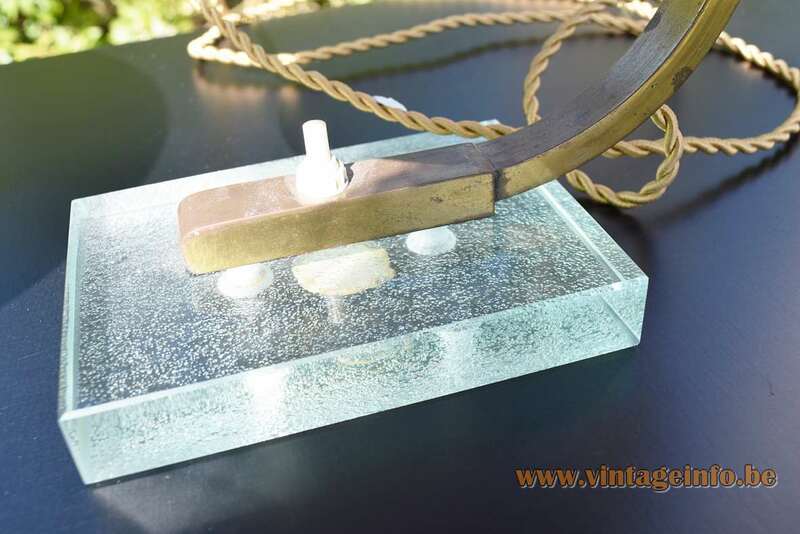 The R. Muhr company not only sold lighting, but also decoration, glass and household stuff.